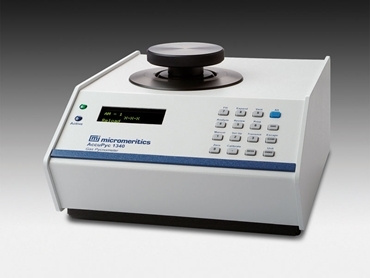 Now available from Particle & Surface Sciences (PsS) are the Micromeritics AccuPyc II 1340 Series Pycnometers. PsS are the sole distributors of Micromeritics scientific equipment and measuring devices throughout Australia and New Zealand. These fully automatic pycnometers are designed to provide high speed, precise volume measurements and density calculations. The pycnometers are suitable for use with volumes 0.01 to 350 cubic centimetres and work to complete the majority of sample analyses within three minutes. Volume and density analyses are simple to start with just a few keystrokes after which data collection and calculations are performed and results displayed automatically. The new AccuPyc II 1340 1-cm3 model gas displacement pycnometer is ideal when there is only a limited amount of material to analyse. The AccuPyc has been designed to allow the accurate detection and measurement of volumes of small amounts of sample, with enhanced reliability to within a fraction of a microliter. integrated control and analysis module can control up to five additional external analysis modules.